The benefits of workplace literacy programs are many, both personal and professional. 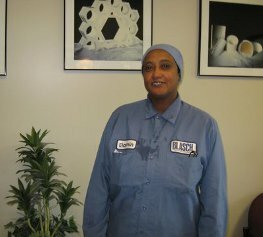 Read a letter written by Shay Harrison, former Director of Operational Development at Blasch Precision Ceramics, about the profound impact English classes have had on the company and its employees. The majority of our learners are adults who must work for a living, and employment often becomes a barrier to instruction. Students who work can find it difficult to get to class. However, when our students are hired by local employers such as Blasch Precision Ceramics, Comfortex, and Hilton Garden Inn, Troy, their English instruction can continue. Students can study English before or after their shift or during a regularly scheduled break. They can build vocabulary and improve their ability to communicate with co-workers and supervisors. Volunteer instructors prepare lessons and meet with students at the workplace for sessions lasting from 30 to 120 minutes. 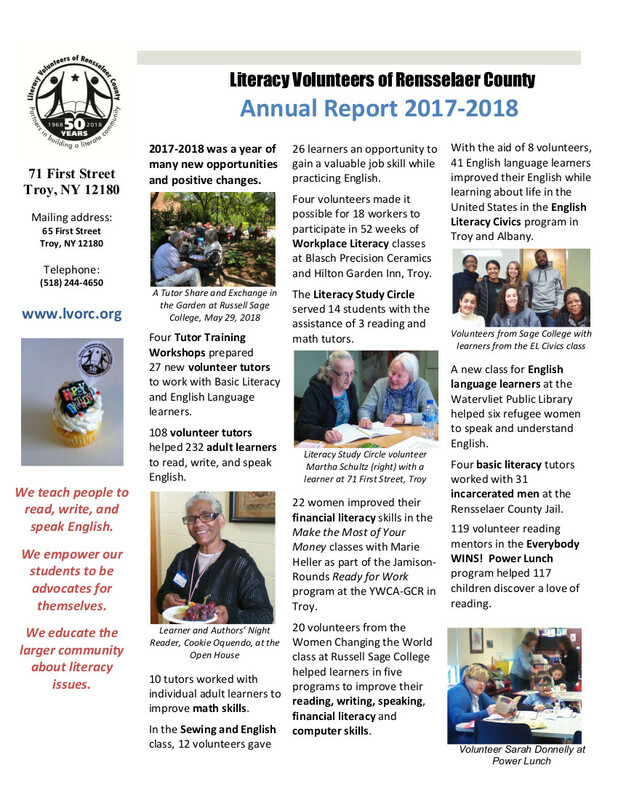 If you would like to start a workplace literacy program, or if you would like to find out how you can help, please call (518) 244-4650.